Thanks for the feedback thus far. To keep everyone in the loop, I talked to Dave Hutson today. He can't do labor day weekend but can likely do 22-24. He is going to check his schedule and confirm. If Dave can do the 22nd -24th, that will likely be the dates. If he is out either way, it would likely be Labor Day weekend based on the responses I've got here and via PM/email. Bill, if you feel like you wife may kill you, you can will that beautiful jeep of yours to me! Bob, I think you will have to take that up with my 7 year old. He already wants to know when his older siblings go off to college, does he get the Jeep? Doug, that is a good approach, I didn't think of that- I see why you are a teacher now . The week leading up to it, I'll have to leave my dirty clothes on the floor more, toilet seat up etc. Bill, that's my scheme to buy more fishing time in the summer and bow hunting time in the fall...just be as annoying as possible. I've acquired more kitchen passes that way! Bill - You should do what I did for my wife. The first year we were married, I bought here a "magic" clothes basket. I'm not exactly sure how it works but all you do is throw your clothes in the basket, or at least in the proximity of the basket, and some how your clothes are magically washed, dried, folded, and put in your dresser!! One time I even left a shirt on the couch which is even in a different room than the magic basket but it still ended up clean and in my dresser. It is totally amazing! Okie Doke. It's official. The Summer Reunion will be August 22-24. All the regular vendors will be there and maybe a few new ones. Hope all y'all can make it. The details will be posted at www.midwestwillysreunion.org. Give it some time though. I am announcing this way early just to let everyone know that there will be a reunion. That date works great for me. I can go to the reunion and keep my wife happy too!! One if our own is the guest speaker and he is bringing one of our favorite jeeps. I've never been to a Willys Reunion before, but from reading past threads about them they look like a good time - even in the rain! I've lived in the mountains for a long time and guided many many Willys trips through them. I've also been around Jeeps for decades and know my way around them pretty well. But not having been around a Willys Reunion before I might need some guidance on how to make the most of my time while I'm there. How about it? Any of you regulars got some good advice for me?? Well it's not the same as climbing Mt Princeton, but then there are no vendors at the top of Mt Princeton either! . You will probably be busy meeting your friends from around the country who up to that point were cyber friends. The jeeps are fun. You get to see lots of different ag applications. 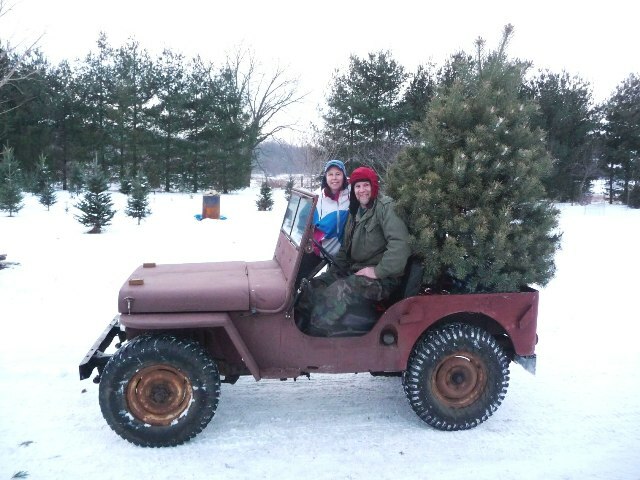 You also get to see other types of Willys like trucks, FC, jeepsters, etc, as well as more modern CJ5s modified, and what not. I am going to push some local military organizations as well. Since Electro-Willys will be there I hope that more people will come to see that so you might be pretty busy answering questions. Probably the most fun for me is sitting in the cj2apage.com tent just visiting with all y'all. . The Colorado FCT guys should rent a van or something and come east.
. The Colorado FCT guys should rent a van or something and come east. I'm thinking that it would be great if a bunch of us from CO would convoy east to the reunion with our jeeps! I think that you should talk to everyone , that kept you busy. I am looking forward to meeting you. Sounds like a great idea to me ! Do you need us to round up an extension cord? either a couple LOOOOOOOONG cords, or a good vegetation map showing me where all the current bushes are! I'm planning to be there with my 3B. I'm working with Mike in Oregon to have some of his Tailgate Repair Kits to sell. If you were considering his kit, you'll be able to see and touch them. Looking forward to meeting some of you guys. 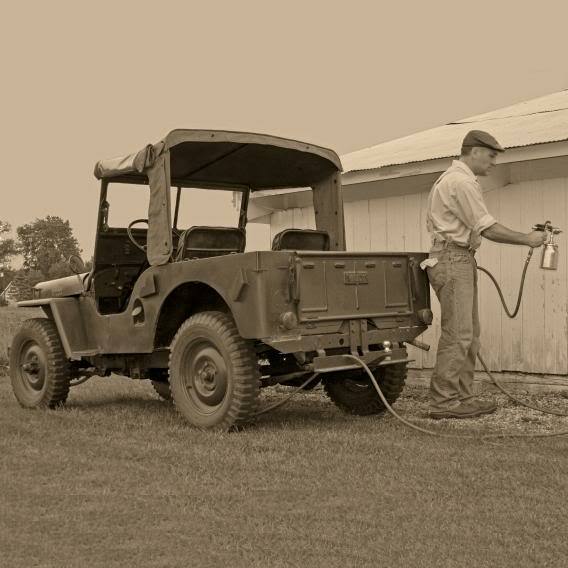 1949 - me - no longer older than all my Jeeps. The tailgate repair parts are really cool. I've used both the A and B type and they work great to save those rusty tailgates. Just letting you all know that registrations are now being accepted for the Summer reunion on the Midwest Willys Reunion web site. If you are sure you are coming, its a big help if you register as soon as you can so we can plan for the banquet.